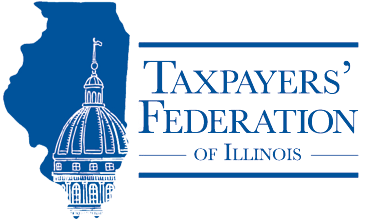 TFI members keep up to date on current (and likely future) tax developments in Illinois, particularly in the General Assembly and Department of Revenue. The organization’s reputation as a nonpartisan policy expert means TFI members have the ability to influence policy. TFI members include the best and brightest in the state and local tax community, collaborating and sharing ideas—participation in working groups and committees is open to all members. Membership support helps underwrite TFI’s research and publications, which are relied upon by media, lawmakers, and staff in executive and legislative branches. TFI’s activities and events are all geared towards furthering one or more of these benefits, as highlighted in the examples below. Communications. We communicate with members in a variety of ways. TFI Report From the Capitol is emailed to all members weekly during the legislative session and on an as-needed basis throughout the year. Click here for a sample Report. Specialized communications go out to advisory committees and working groups, discussed below. Members receive email and hard copies of our research publication, Tax Facts. Events. The Federation’s three major events of the year, the Spring Legislative Conference, our Annual Meeting in June and the State and Local Tax Conference in September, are major opportunities for face to face contact with decision makers and leading tax and government affairs professionals, and always include substantive sessions on current (and future) developments. Members attend these events at a significant discount. See the Calendar of Events for more information. The Income and Franchise Tax Committee focuses on income tax issues, including apportionment, unitary groups, the tax base generally, tax credits, and interest and penalties. The Committee also addresses concerns with Illinois’ archaic franchise tax, and advocates for its repeal. The Sales and Excise Tax Committee focuses on topics like nexus standards, exemptions, sourcing rules, local “sales” taxes, and procedural issues. The Property Tax Committee looks at all aspects of Illinois’ property tax system, including assessment practices, appeals procedures, and exemptions. The Local Taxes Committee was formed in response to the proliferation of new taxes by local governments throughout Illinois. The Committee works closely with local governments, particularly the City of Chicago and Cook County, to ensure that they understand the consequences of their actions and to encourage adherence to the principles of sound taxation. The Government Structure and Spending Committee evaluates Illinois’ overall government structure and service delivery system, with a strong focus on the State’s fiscal practices. Advisory committees meet several times a year in the Chicago area, and committee members receive frequent emails with updates on new draft regulations, legislative proposals, and the like. The committees also hold conference calls to discuss major developments. Periodically, working groups or subcommittees form to address narrow topics; these groups can last a few weeks or months or can become a standing interest group. There are also four industry-specific committees to address their unique tax issues: Financial Organizations, Insurance, Transportation and Utilities.